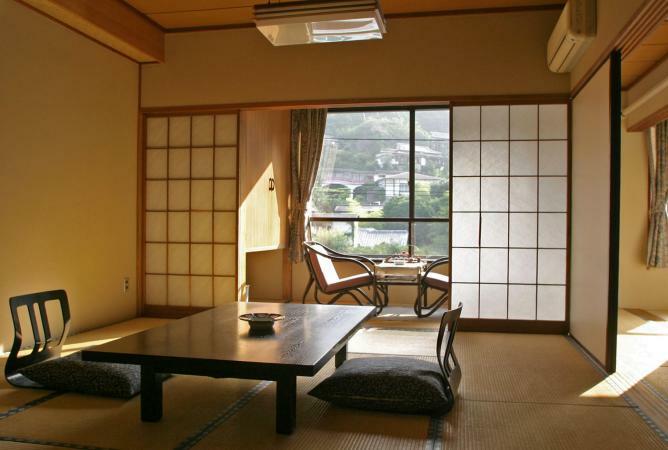 If you have a "cozy living space" - read "small" - then Japanese design may be for you. This clean, minimal style of design is perfect for maximizing the potential of small spaces and can open up your apartment in ways you never thought possible. 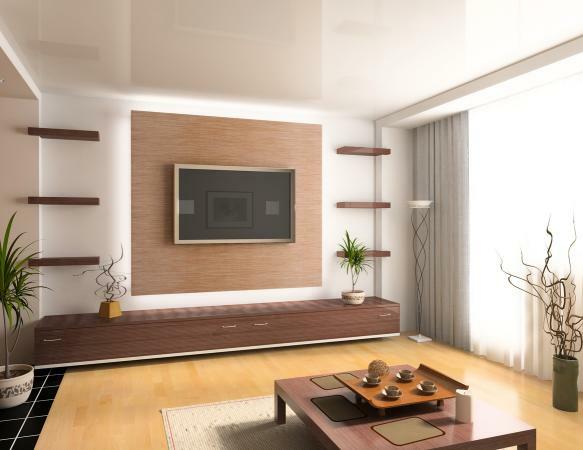 Give your small living quarters a design style facelift, and you may end up feeling like you have moved into a new apartment and doubled your living space. The majority of the population of Japan lives in a small area around the southern tip of the country because the north of the country is mountainous and cold (save one major urban area in the north). The majority of the people who live in this crowded southern area of the country live in the cities, meaning there is a highly dense population centered in just a few areas. In fact, while there is some bickering between the experts, many people believe that Tokyo is the most populated city in the world. It should come as no surprise then that the living quarters in Japanese cities are very small. All of those people have to live somewhere. These circumstances have made the Japanese the masters of designing for small spaces. The typical Japanese apartment is about 750 square feet, and yet, thanks to some clever design tricks, it can feel much larger than that. The minimal style associated with Japanese style can also be applied other design styles, without becoming too contemporary or modern. To bring some of the points of Japanese style into your home, consider first how they work in practice. Have a place for everything you own. Shelves, cabinets and built-ins can help to contain some of the clutter. Ask yourself if you need it. If you're not sure where to put an item, ask yourself if that might be an indication that you don't know how or when you're ever going to use it. Be brutal and ditch what you don't absolutely need, and keep a watchful eye over your place so the clutter doesn't start building up while you're living there. Rent a storage space and keep larger or sentimental items there until you have a space large enough to keep them. A lack of clutter certainly helps make a space feel more open, and there are other ways you can open up your space as well. Walls dividing a small space into many small rooms can really chop up the place, making it feel smaller. Add mirrors to the walls, or if you own the space, consider taking down a few for a more open floor plan. Allow as much natural light as possible to flow though the entire apartment and forgo the single overhead lighting for a series of lamps with natural light, bright bulbs. If you have a studio apartment, use dividers to separate the spaces. 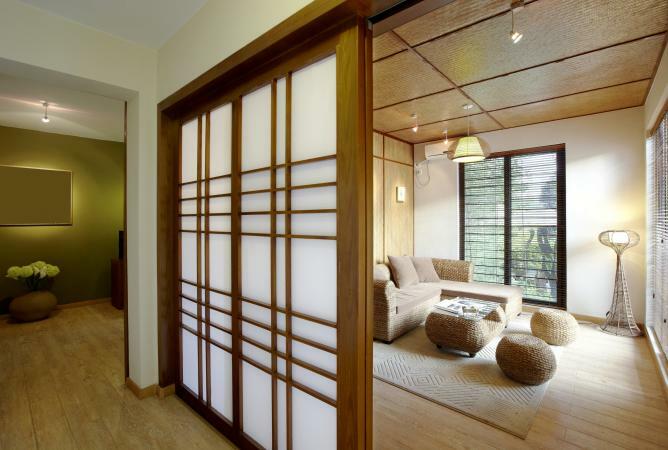 Go for Japanese shoji dividers and doors instead of walls; these semi opaque screens will allow the natural light to flow freely throughout the room while giving the privacy and division of space you desire. 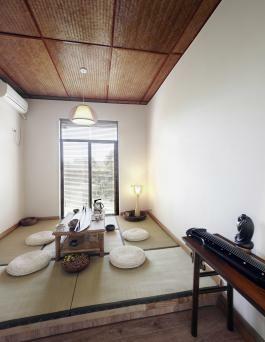 The reason low table and pillow set ups work so well in small Japanese spaces is because they are small and unobtrusive. The furniture you buy should be the same. Skip the heavy, dark wood pieces of furniture that take up a ton of space while closing off large areas of the room. 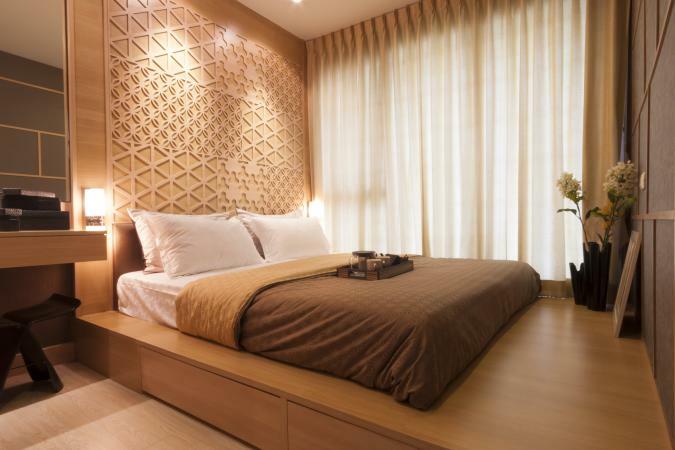 Instead, go for small pieces made of light colored woods, with light colors of fabric. When possible, choose furniture that lets light pass through it - a sofa on which the legs are visible or an end table that is propped on legs instead of a solid base. Furniture that can have multiple uses is also popular. Futons that can work as couches or beds, and tables that fold away against the wall can help maximize your space. Use these colors in combination throughout the home for unity and introduce bolder colors as accents like throw pillows for contrast. 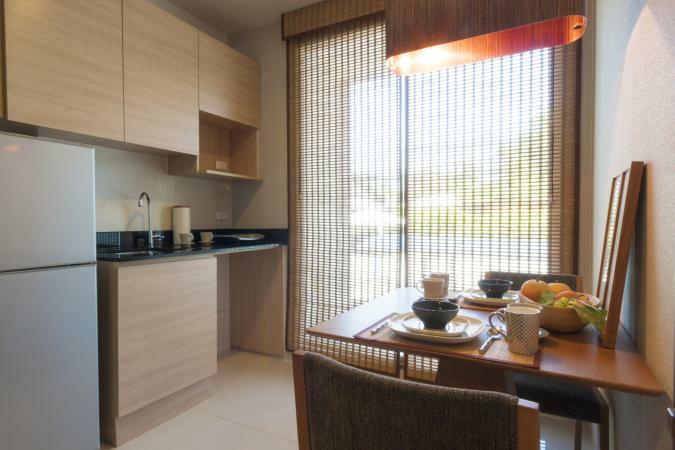 No matter what style of apartment or home you live in, incorporating some of the principles of Japanese style design can help simplify and streamline your living space. Create your own space by infusing it with Japanese style and see where it takes you.